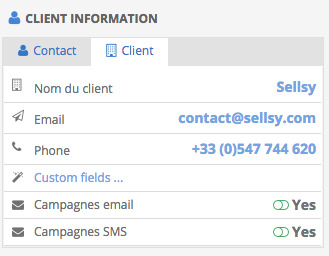 If a customer or prospect writes to you directly, Sellsy will automatically attach the ticket to the relevant contact. 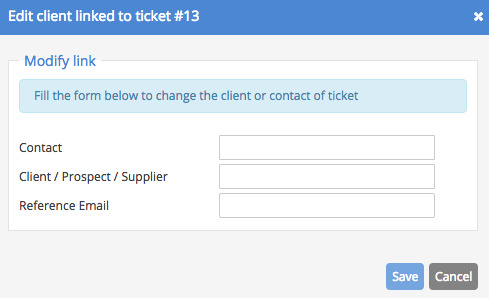 Customer information will be displayed in the upper rlrft when you open a ticket. However, if the incoming ticket is not attached to any customer, Sellsy allows you to manually attach it to an existing customer or prospect.